CBRE today announced that a Jurong Island facility located at 121 Banyan Drive in Jurong Island has been sold at S$227.5 million in a proposed sale-and-leaseback agreement. The deal of the chemical logistics facility brokered by CBRE will be the first sale-and-leaseback transaction on Jurong Island. 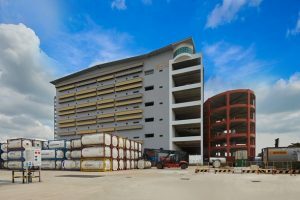 Sitting on two adjoining plots of land of approximately 464,385 square feet, the Jurong Island facility comprises a six-storey ramp-up warehouse with ancillary offices, two blocks of single-storey warehouse and an open yard. The total gross floor area is approximately 707,881 square feet. Under the proposed agreement, the premises at the Jurong Island facility will be sold to a private real estate fund and leased back on a 10-year term to LTH Logistics, a subsidiary of Vibrant Group Limited that handles chemical logistics and distribution. The deal for the Jurong Island facility has been signed by way of a Put and Call Option agreement and is conditional upon final JTC’s approval. 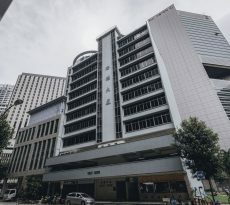 According to Vibrant Group’s announcement on SGX, the proposed sale and leaseback arrangement of the Jurong Island facility will enable the Group to realize the fair value of its investments in the subject property, while enabling the Group, through the leaseback arrangement, to enjoy long term use of the property of its existing operations. “Jurong Island’s stellar success as, arguably, the world’s leading energy and chemical location is testament to the abilities of both EDB and JTC to continually attract top global petrochemical firms. LTH Logistics’ state-of-the-art chemical logistics facility at 121 Banyan Drive and their vast experience in handling a wide variety of both hazardous and non-hazardous chemicals will continue to play a critical role in the Jurong Island eco-system,” concluded Mr Ambarchi. Mr Paul Ho, Chief Mortgage Consultant at iCompareLoan, said that despite the property curbs introduced by the Government last year, Singapore is still an attractive residential market for investors. 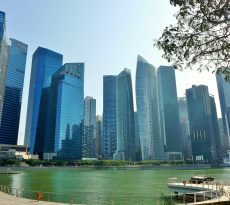 Although the property market exuberance has been curbed to some extent with the property cooling measures introduced last year, Singapore as a property market investment destination still remains among the top – shoulder to shoulder with other cities in the world like London, New York, Shanghai and Sydney. “We have to be mindful that there is a lot of excess capital fluidity here and at 1.9 – 2 percent, Singapore has one of the lowest interest rates for home loans in the region. The industrial property market price recovery is observed to be broadening,” he noted. The sale of the Jurong Island facility comes at a time when the industrial property market is steadily improving in health. In 2018, the decline in industrial property market prices finally halt to a brake for both single-user and multi-user factories. Additionally, the multi-user factory segment joined the business park segment in posting rent upside. This improvement in the industrial property market comes at the back of a strong pick-up in leasing transactions to a record high. This has likely been underpinned by the more upbeat business sentiment alongside the positive economic and manufacturing data, which has emboldened more tenants and industrialists to review their real estate options. Leading real estate observers have said that they were optimistic that the industrial property market will likely bottom within the next 12 months, barring any unforeseen external shocks. They took into account the tapering pipeline supply that will allow demand to play catch up amid the positive economic outlook, barring any unforeseen external shocks. Despite the Sino-American trade frictions, Singapore’s economic outlook as well as the outlook for 2019 is expected to remain positive. Observers say that the tapering pipeline supply will allow demand to play catch up. As new supply starts to taper in the coming years, prices and rentals should stabilise in tandem with occupancy rates, they added. iCompareLoan is the best loans portal for commercial loans, buyers, investors and real estate agents alike in Singapore. On iCompareLoan, you will be able to find all the latest news and views, informational guides, bank lending rates and property buying trends, and research data and analysis. Whether you are looking to buy, sell or refinance apartments, condominiums, executive condos, HDB flats, landed houses or commercial properties, we bring you Singapore’s most comprehensive and up-to-date property news and best home loans trends to facilitate your property buying decisions. Our trademarked Home Loan Report is Singapore’s first one-of-a-kind analysis platform that provides latest updates of detailed loan packages and helps property agents, financial advisors and mortgage brokers analyse best home loan packages for their clients, so that they may give unbiased home loan/commercial loan analysis for their property buyers and home owners. Our distinguished Panel of Property Agents who are users of our Home Loan report can give the best all-rounded advise to real estate seekers. 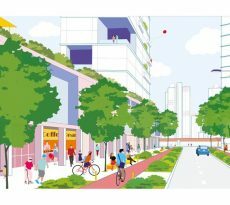 Why Invest In Harbour View Gardens? How To Create An Amortisation Schedule For Your Home Loan?